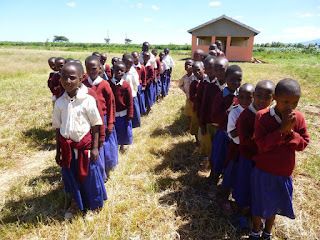 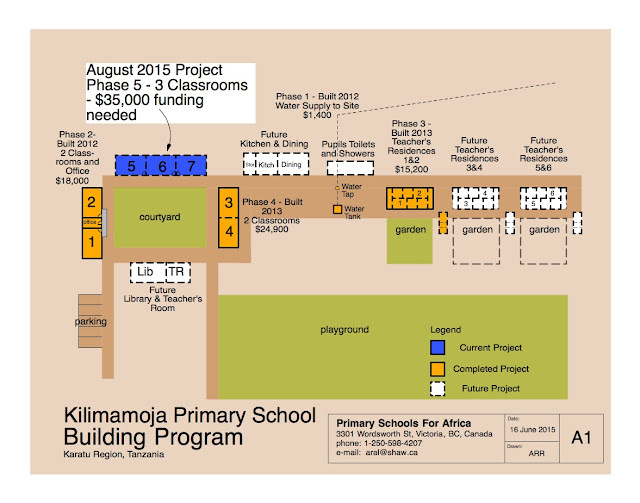 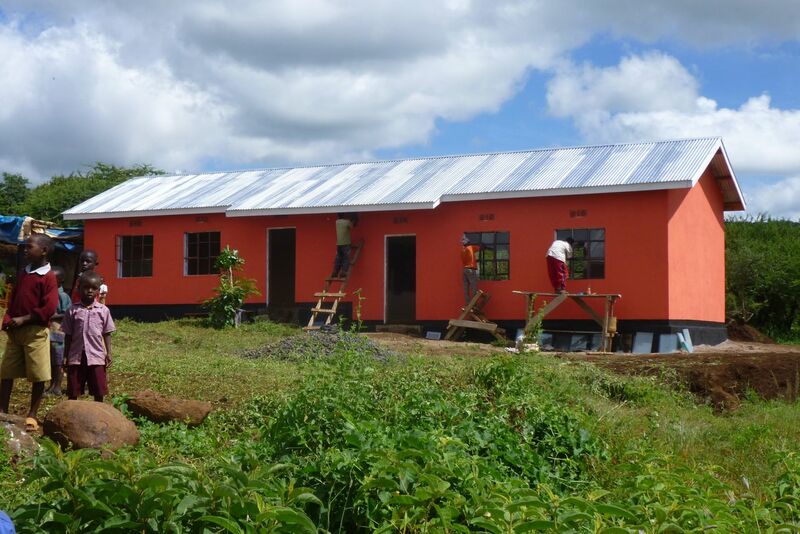 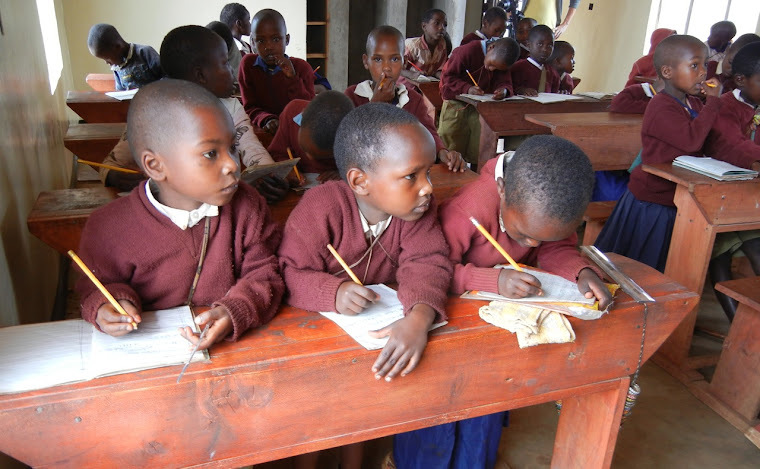 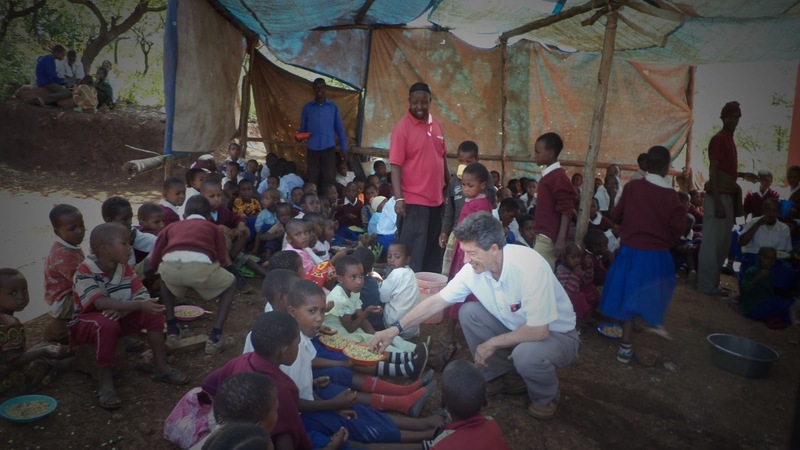 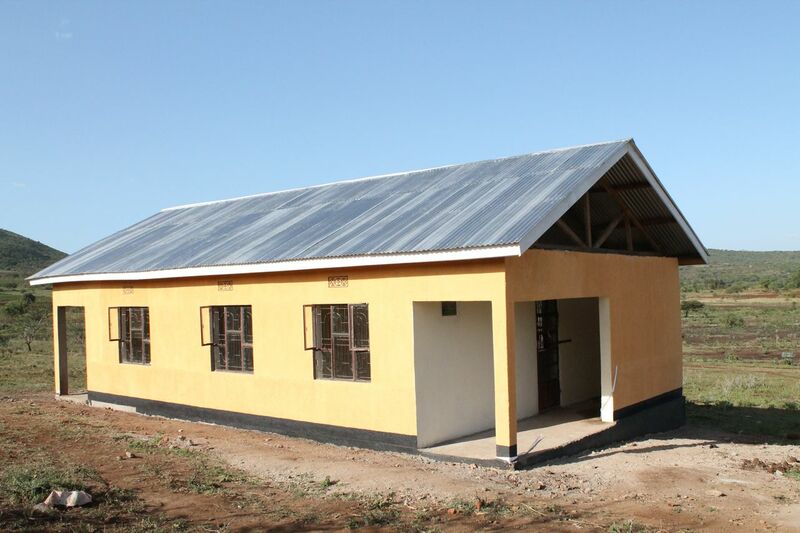 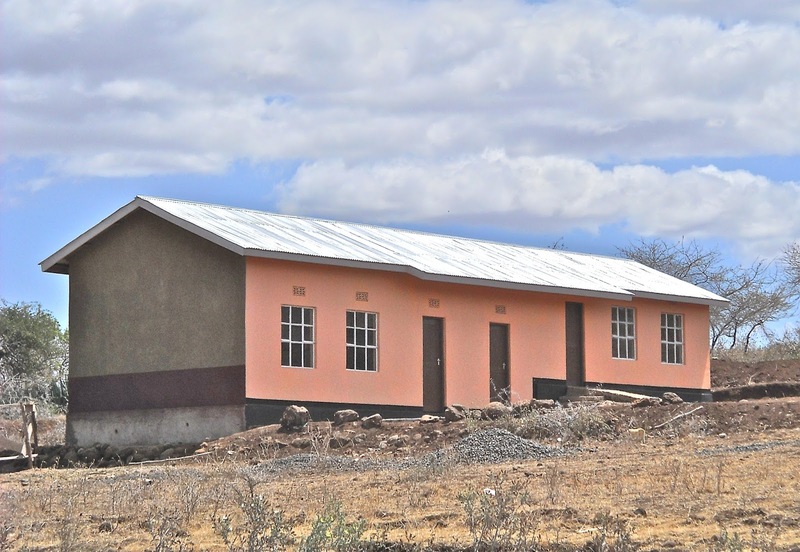 This years project is a 3-classroom building at the Kilimamoja Village school site where we have already completed 4 classrooms and two teacher residences. 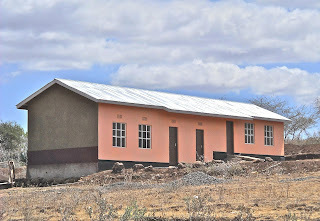 The new classrooms are urgently required to be built this year to accommodate the 38 pupils graduating from Standard 4 level to Standard 5. 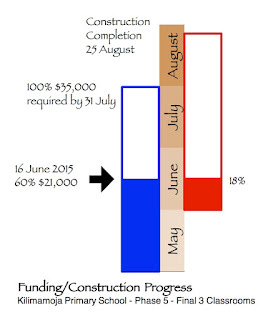 We have raised $21,000 to date, and need an additional $14,000 to reach our construction cost of $35,000.